Virginia Aswad, Cooperstown, a biomedical science major at the Rochester Institute of Technology, was named to the Fall 2018 Dean’s List. • Shane Tang, Cooperstown, computer science program. • Jessi Falke, Springfield Center, ASL-English interpretation program. • Adam Kruh, Maryland, electrical engineering program. • Alexis Slentz, Edmeston, chemistry program. • Nathaniel Wilcox, Fly Creek, electrical engineering program. Help support the annual Goodyear Lake Polar Bear Jump and maybe take home some great prizes! 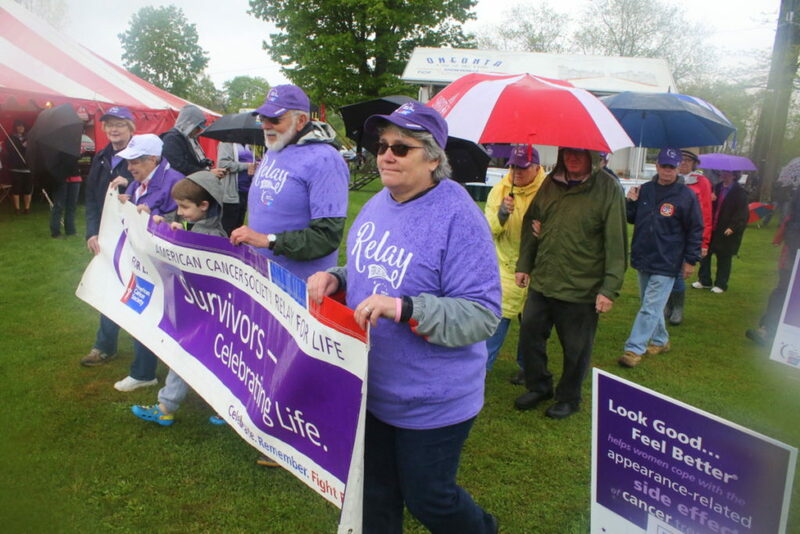 The annual Chinese Auction allows you to raise funds for local families struggling with chronic illnesses – all without having to jump in a freezing cold lake. 12:30 p.m.; drawing begins at 2:30. Sunday, Jan. 27, Milford Central School, 42 W. Main St., Milford. Info (607) 286-7101. 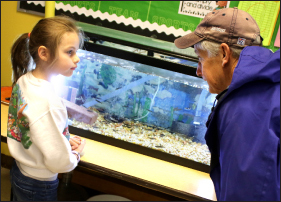 Julia Leech, left, learns about trout from Kevin Kelly, a member of Trout Unlimited, who helped sponsor the Trout in the Classroom project at Milford Central School. MILFORD – Call it a School of Fish. Kim Burkhart’s Milford Central School third-graders are raising 50 brown trout in their classroom, learning hands-on about the ecosystems of rivers and streams. If you feel inspired having read this article, then you may want to consider some fishy-y learning aids for your children at home. Consider looking at Odd Ball Fish online to get some innovative ideas for stocking a new aquarium. 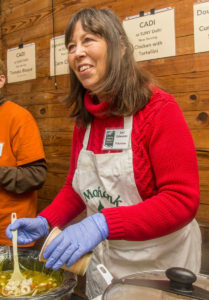 A state certified Master Teacher, Burkhart first did the trout program with students when she taught first grade at Sherburne. “Some of them, now in fourth and fifth grade, still write to me about it,” she said. Included in the setup was a tank, a filter, a chiller to maintain water temperature and a piece of AirStone to keep oxygen in the water. And the kids helped make it a home for their fishy friends. “We researched trout habitats and made a background” for the fish tank, said pupil Liam Gannon. On the background are logs, rocks and insects, as well as otters – a predator – and some duck feet poking down. “We wanted to make it just like home,” said Liam. The students also practiced their persuasive writing skills in letters to the trout, encouraging them to hatch and come live in their classroom. And whoever is in charge of snacks also has to make sure the fish get their snacks too. 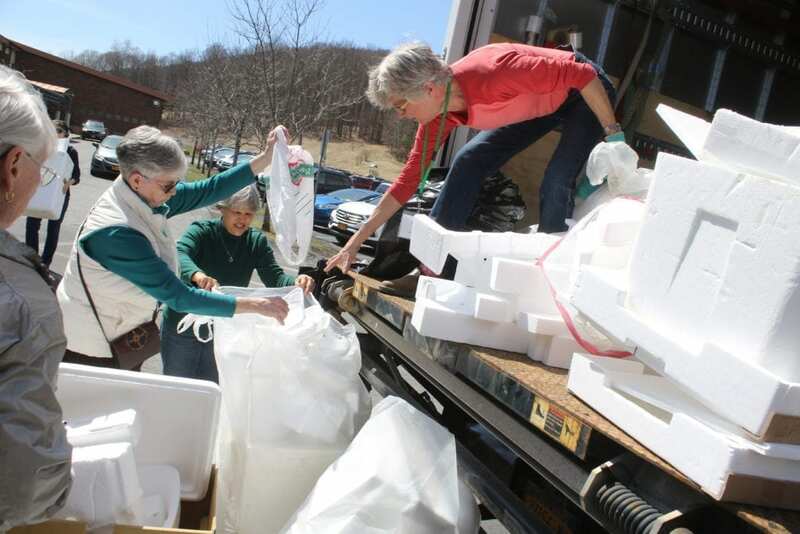 “We feed them special trout food,” said Natalie Roe. “The kids come in every morning and look at them,” said Burkhart. In addition to the science lessons about the fish and their habitats, the students are also going to learn how to tie flies and about the importance of conservation. 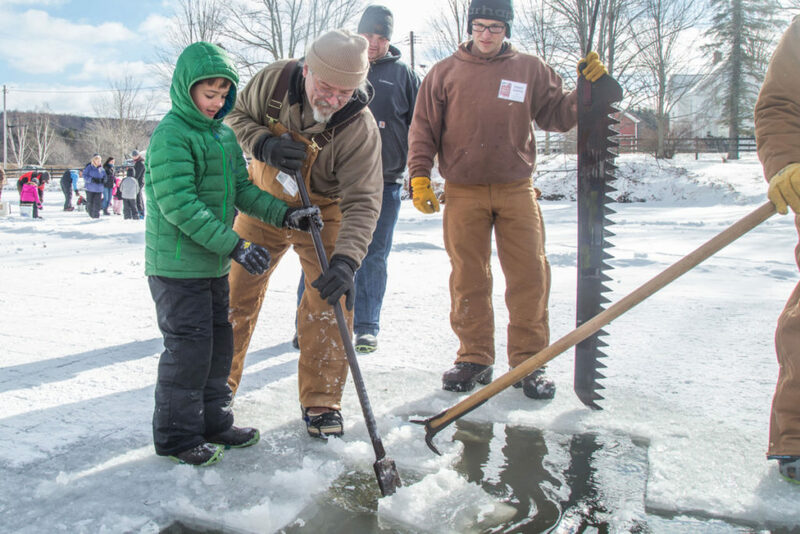 “Seeing fish from start to release helps students better understand the life and health of a stream,” said Trout Unlimited member Kevin Kelly, also of Oneonta. 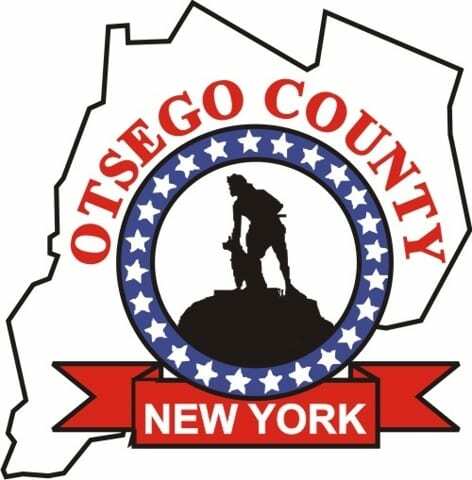 While this is the first Trout Unlimited-sponsored program in an Otsego County school, the chapter also provided guidance for a “Trout in the Classroom” project fifth-grade teacher Suzanne Johnson is running at Riverside Elementary School in Oneonta. LET IT SNOW…AND SNOW AND SNOW AND SNOW! 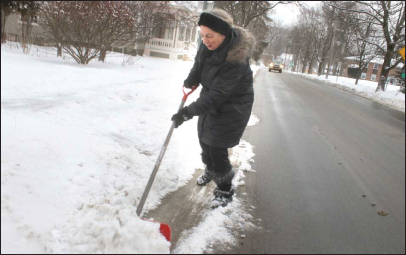 Jim Kevlin/The Freeman’s Journal – Linda Parmalee clears four inches of snow that fell overnight on Thursday, Jan. 10 from in front of her Glen Avenue home, Cooperstown. But don’t even think about putting away those shovels – as much as 20 inches of the white stuff is expected this weekend. CASTLETON LAUDS: Daniel Bosma, and Mallory Timpano, both of Cherry Valley, were named to the Castleton University President’s List for the fall semester of the 2018-19 academic year. Paulette Cotter pauses among hundreds of cameras in her Town of Milford home, part of her late husband’s collection. 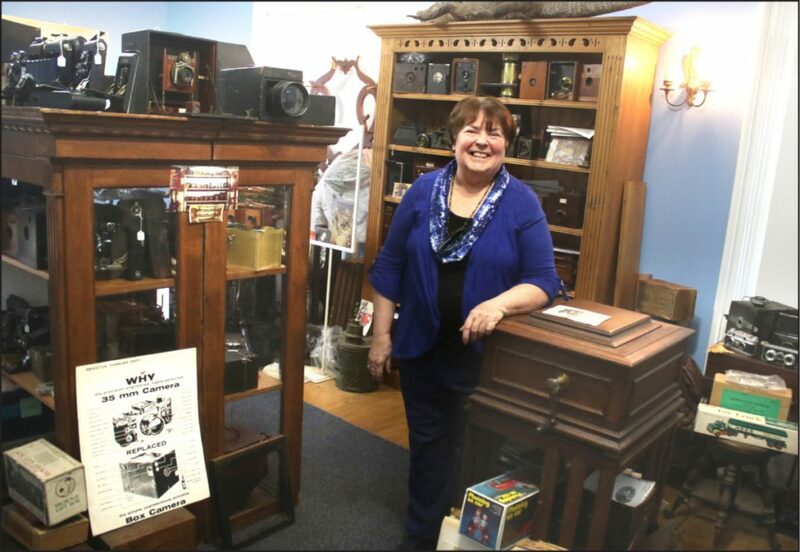 She estimates Alan, who collected and traded toys, cavern memorabilia and other antiques, bought and sold “thousands” of cameras over 45 years. Above is a stereopticon slide of the young couple. Jim Kevlin/AllOTSEGO.life – Arriving on the West Coast in 1969, Alan bought a small camera like this one, then bought one camera a day for the next two years. 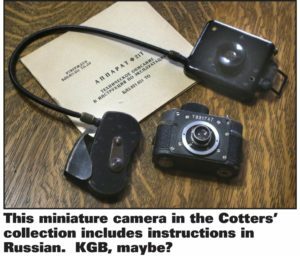 Alan Cotter sought out the collector – all these years later, wife Paulette remembers him only as “Kent” – and bought a miniature camera. For the next two years, “we collected a camera a day,” she said.When the newlyweds arrived in Santa Barbara, Calif., in 1968 – he had enrolled in the Brooks Institute of Photography – there, in a window of a Main Street bank, was a “huge display” of multiple antique cameras. When he graduated from Brooks in 1969, “it was ridiculous, economy-wise. Grads were pumping gas; he didn’t want to do that,” said the wife. Arriving on the West Coast in 1969, Alan bought a small camera like this one, then bought one camera a day for the next two years. Thus began a life of buying and selling cameras, Daguerreotype images, Stereopticon slides – you name it – even “magic lanterns,” like the Zoetrope, a pre-film animation device that provided exotic scenes and sights the general public wouldn’t have seen otherwise. Based in Santa Barbara until 1984, when the couple moved to Morris, Alan would travel to collectors’ conferences on the East Coast, picking up choice examples en route and back. During the 1970s, the couple produced three national camera-collector directories that sold for $8 apiece. “There were no computers, it was all by hand on a typewriter,” said Paulette, who was a teacher by day and typist by night. She also produced “Reflecting On Photography, 1839-1902, The Cotter Collection,” with a Daguerreotype of Alan on the cover. The photographer died young, having inhaled too many mercury fumes, the same thing that killed Louis Daguerre, the French inventor of the process, Paulette said. 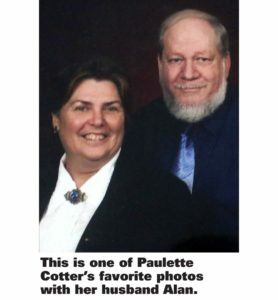 Over a lifetime, the Cotters – Alan passed away in 2015 – bought and sold “thousands” of cameras and related items, said the wife. 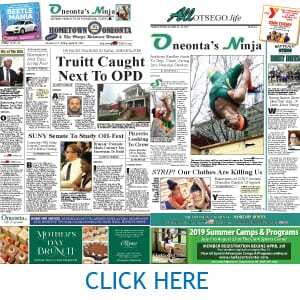 When Wayne Wright, retired NYSHA library director, was putting together “Oneonta Photographers, 1850-1930” last summer for the Greater Oneonta Historical Society, he learned of Paulette’s collection. On stopping by, “I was amazed,” he said. The Cotters both grew up on Long Island, 25 miles from each other – he in Babylon, she in Merrick. But they met at a Baptist summer camp in Freehold when she was 14, he was 12. “We used to play ping-pong together,” she said. When she graduated two years ahead of him, they married. 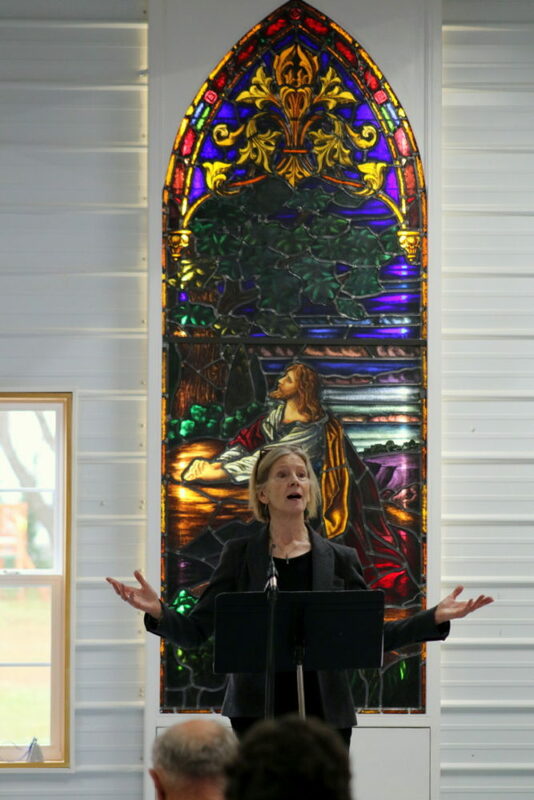 After another year at Wheaton, they headed out to Brooks, and the collecting began. For two years in the late 1970s, Alan also curated the college’s photography museum. In the 1980s, with their two sons growing – Brady Cotter, now OHS track coach and Earth Science teacher, and Ben Cotter, the Southside chiropractor – the couple moved back east so the boys would know their grandparents and extended family. They bought a house, sight unseen, in Morris. There, they opened an antique store, but it was a block off the main road. So in the 1990s, they bought an old Federal-style farmhouse right on Route 28 at Milford Center, renovated it and built a shop out front, increasing usable space from 2,200 to 3,700 square feet. 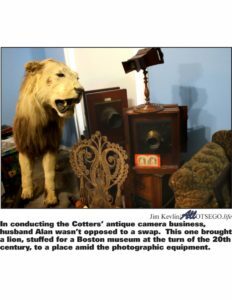 Today, photo equipment dominates, but not exclusively, as Alan would swap cameras for other intriguing objects, including a stuffed lion from a Boston museum and a stuffed alligator prone atop a cabinet. 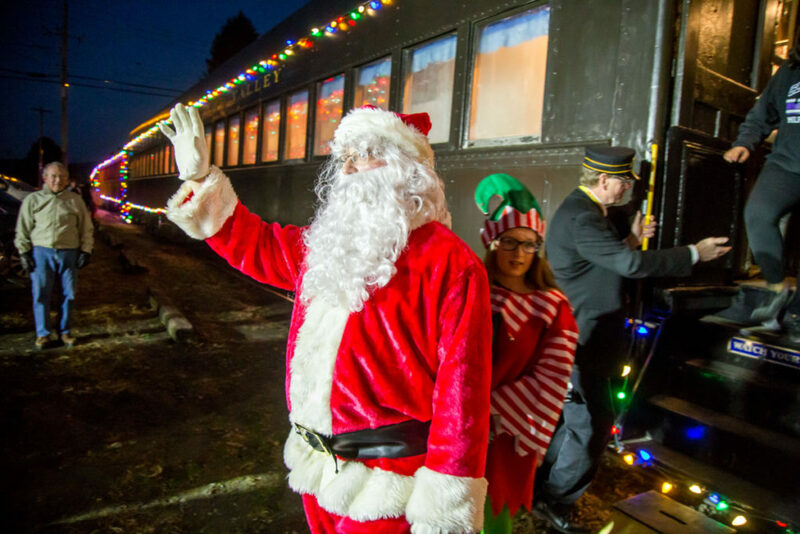 He also dabbled in perhaps 20 other types of collectibles, from board games, to toys, to souvenir plates of tourist-destination caverns like Howe’s in Schoharie County. 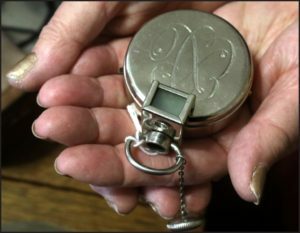 But cameras do abound, and much of the variety, Paulette attests, were developed for private detectives – and even spies. One camera was designed to attach to the photographer’s chest, with the lens fitting through a button hole, and activated by a switch in the photographer’s pants pocket. Other cameras are on pivots, allowing a panoramic shot of, for instance, high school classes. Sometimes you see the class wag twice – he ducked behind his classmates and appears on the right and left of the lineup. Another pivot allows a 360-degree image. And there are related items, such as a photographer’s brocade couch, where all sides fold down to allow variety in poses. For his 30 years in Otsego County, Alan was also choir director at Oneonta’s Main Street Baptist Church. The son of a pastor, “he loved the Lord,” he wife explained. Diagnosed with cancer in 2011 and given nine months to live, he battled the disease with homeopathic methods, surviving until March 29, 2015. Still, he certainly lives on amid his collection. Patient recalls Bassett security guard Wade Bostwick fondly. But Wade Bostwick, veteran Bassett security guard, knew what to do. “He came in and sat on the floor with him and asked him about what he liked,” the mother said. “He brought him a stuffed animal and a Pepsi, and they chatted about video games and fishing. After Wade was able to bring him out of his shell, he allowed himself to be treated. Wade was a lifesaver. “We need more people like that,” she said. 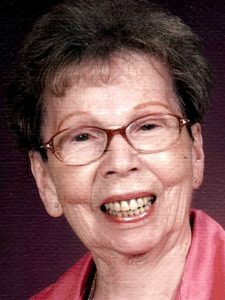 ONEONTA – The funeral is this Thursday, Nov. 30, for Doris W. Oliver, 94, of Oneonta, who retired from the Oneonta City School District. She passed away Saturday, Nov. 4, 2017. Born and raised in Milford, Doris was a graduate of Milford High School. She was married for 70 years to Leland Arthur Oliver, who passed away on Nov. 10, 2011. 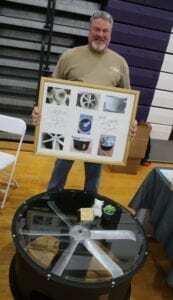 Doris worked for Bendix Corp. for over 25 years, then Oneonta schools for 12 years, then retired. Since 2015, she had lived in Patterson, Calif., with her youngest son, Michael, and his wife Mary Jane, who cared for her.